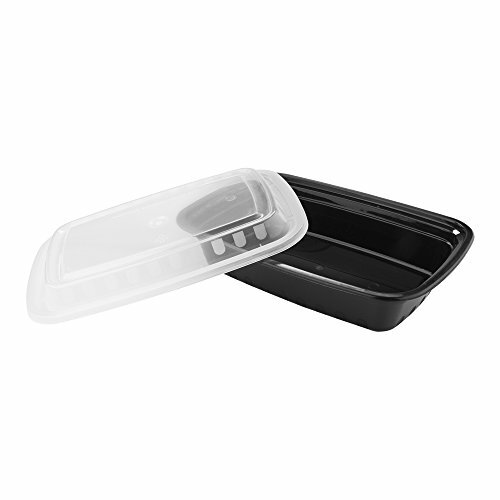 This Asporto Microwavable Collection Rectangular PP Black To Go Box with Clear Lid is made out of premium material, which means you can use it to serve up your heaviest take out, to go, carry out and box of leftovers. You will get 100 cleverly constructed microwavable to go boxes when you order this product. Perfect modern boxes to use for burgers, sandwiches, sides and much more. The design of these boxes will help you keep your food safe and secure as your restaurant, catering and party guests transport it from your establishment to their home. 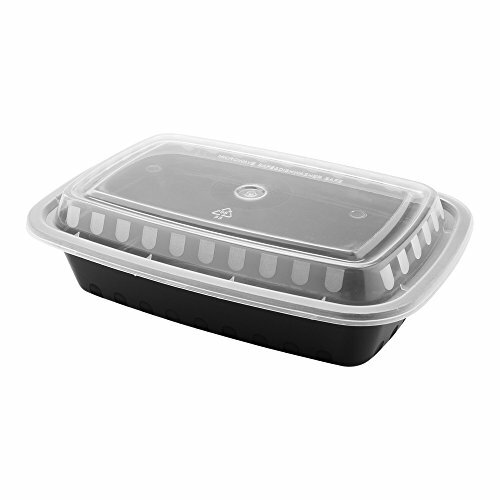 You will be using state of the art each and every time you serve and send out your culinary treats in these chic microwavable rectangular pp black to go boxes, so go ahead, order your boxes today. 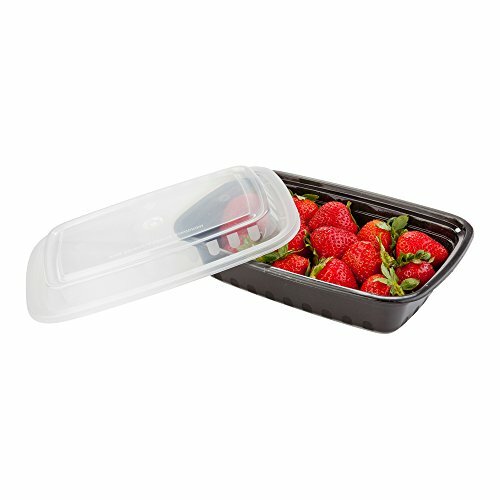 DURABLE ECO-FRIENDLY FOOD CONTAINERS: The Asporto Microwavable Collection is constructed from premium plastic to create a light, durable and fully disposable food container that is perfect for serving a variety of hot and cold dishes. SIZED RIGHT: These microwave-safe plastic containers are 7.9" x 5.3" x 1.7" in size - perfect for serving up to 24-oz of delicious rice, pasta and even burgers. 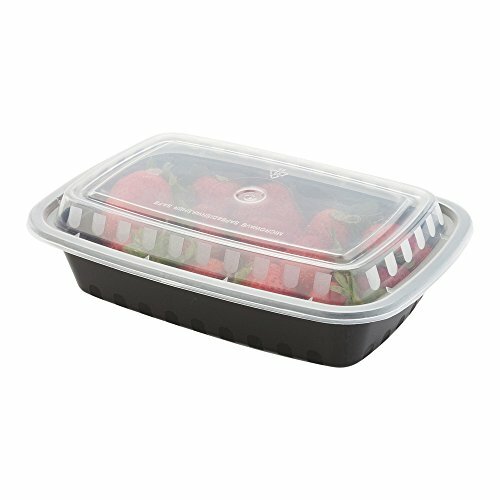 LID INCLUDED: These disposable black 24-oz containers come with a clear plastic lid - making this an ideal takeout container for takeout restaurants or catering events. 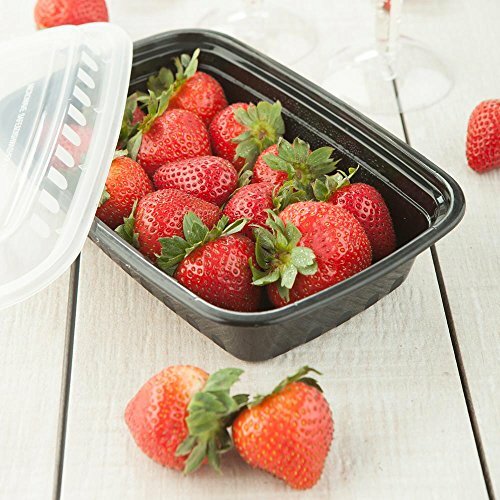 MADE FOR RECYCLING: Constructed with 100% disposable plastic, these rectangular food containers can be recycled or composted in a snap but still perfectly hold their shape while in use.